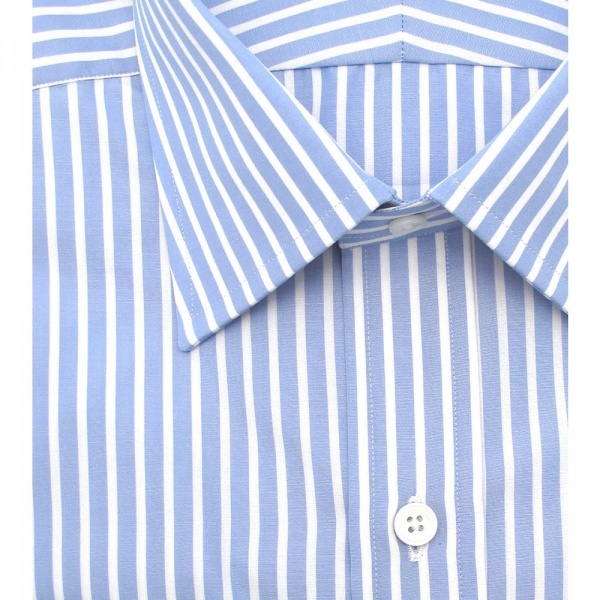 Drakes London provides us with a breath of fresh air with this sky blue, white striped dress shirt. 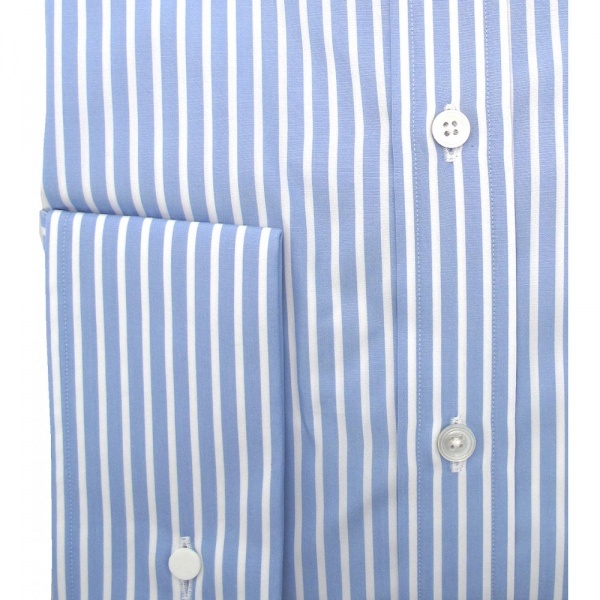 Featuring a classic point collar and French cuffs, the shirt features the long tail traditional on English made dress shirts, and is made of a fine, soft cotton. Available from Drakes now. 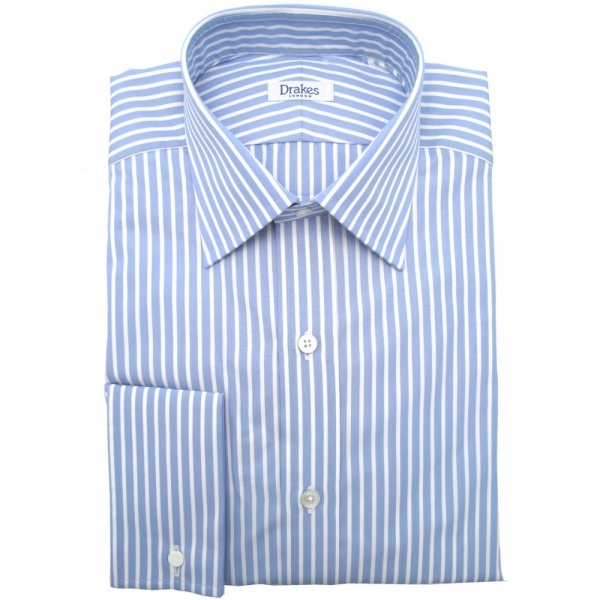 This entry was posted in Dress Shirts and tagged Blue, Drakes London. Bookmark the permalink.